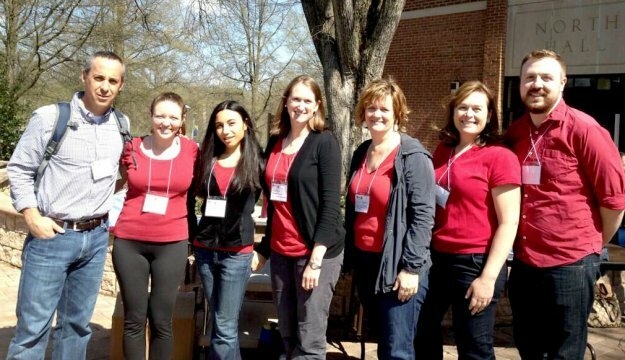 This past Saturday I had the distinct pleasure of being a member of the steering committee for edcamp metroDC. What an incredible group of dedicated, enthusiastic, and organized people. We met together last fall and this weekend birthed our edcamp baby. I am enormously grateful for the experience. As a member of the committee and twitter princess for the day, I didn’t have the chance to attend too many of the sessions. However, I caught a few glimpses and was so very impressed, as usual with edcamp attendees, with the commitment and energy around our craft of teaching. As my own reflection would be short, here are a few reflections that can best serve the day. Thank you to the steering committee. What a great day. To quote @buddyxo, you are all #eduawesome.